Stride by Stride: North American Racing Academy's Got It Going On! 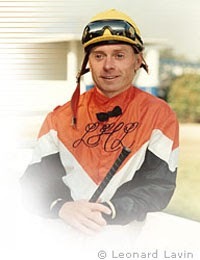 Retired jockey, Chris McCarron had a dream and a vision. It's exciting to see a dream find a home for its full fruition. Cooler yet, when your dream involves teaching hundreds of other hopeful individuals how to turn their passion for horses and commitment to competition into a fulfilling racing career. Whether you long to be a jockey, exercise rider, trainer or some other horsemen position, Chris McCarron's school, the North American Racing Academy, NARA for short, is determined to help you make that happen. NARA borrows barn, pasture and track space for hands-on lessons, practice and study and is located at the Thoroughbred Training Center and The Kentucky Horse Park, in Lexington, KY. It also shares classroom space with the Bluegrass Community and Technical College. The NARA program is unique in its ability to help students earn an AA degree or certificate in Equine Studies through BCTC at the end of their chosen course study. NARA's accomplished jockeys have professionally competed in races all over the United States and around the world. As recent as November of 2013, the lovely and accomplished jockey, Natalie Turner, traveled to the UAE and competed in the Dubai World Apprentice Race in Abu Dhabi. Rock it out, Natalie! Way to represent. If you want to learn how to become a competitive, serious horseman or woman, check out NARA's website here: Make Your Jockey Dreams a Reality by Clicking Me! Good luck! I hope to see you tearing up the track or in the backside, doing your thing and loving your life. Horses. Isn't that what every day should be about, all the time? If only I were 5'5" and weighed 110lbs. Of course, then you'd see me racing past you ON THE TRACK, because I'd study at NARA and become a top-notch jockey myself!